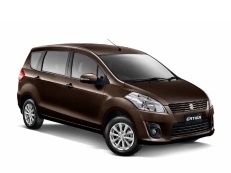 Correct Wheel Sizes, PCD, Offset, Rims and Tire specs for Suzuki Ertiga series. 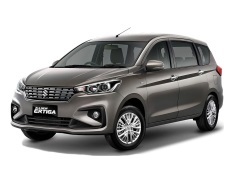 would lile to know if the stock tyres for my ertiga 2012 model can be upgraded.Also which will be the best without disturbing any of the dynamics of the car. Thank you very much for your reply.My stock tyres are 185/65/r15. Keeping the same size rims can I upgrade to 195/65/r15.Will there be any effect on the car performance and will there be any difference in the reading/calculation of the mileage. As suggested by you would 175/70/15 cater to the dynamics of the car in terms of lesser road grip and will the extra height cause the body to touch the wheels when loaded or in bumpy road.